There Had To Be A Reason is a Christian's witness to God's amazing work in our lives. 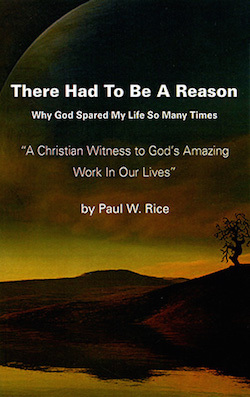 Paul Rice explains how God miraculously saved him from several "near death" experiences leaving him to wonder why. He decided to share his experiences with the mighty grace and saving powers of our Wonder Lord and Savior Jesus Christ.